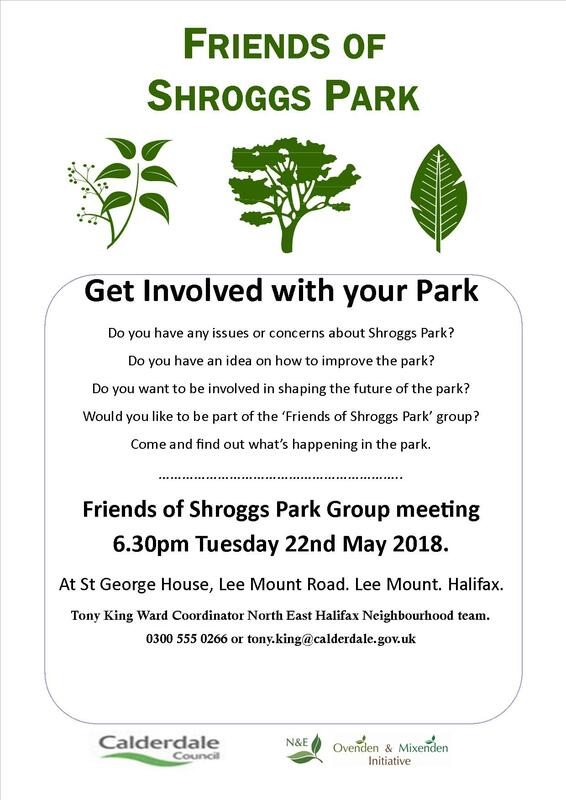 Get Involved with your Park at the Friends of Shroggs Park Group meeting Tuesday 22 May, 6:30pm at St. George House, Lee Mount, Halifax. Do you have any issues or concerns about Shroggs Park? Would you like to be part of the ‘Friends of Shroggs Park’ group? ← North and East Halifax Friday Flyer 11 May – OUT NOW!